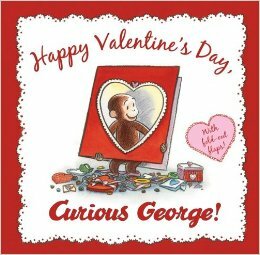 Happy Valentine's Day, Curious George Hardcover Book Just $4.99 Shipped! You are here: Home / Great Deals / Amazon Deals / Happy Valentine’s Day, Curious George Hardcover Book Just $4.99 Shipped! Happy Valentine’s Day, Curious George Hardcover Book Just $4.99 Shipped! I love holiday books and just told family that I want to build our collection. Right now, you can get Happy Valentine’s Day, Curious George for just $6.20 on Amazon (reg. $8.99). And, it’s hardcover! Super Saver Shipping will be FREE on orders of $35 or more or get FREE 2-day shipping with Amazon Prime.